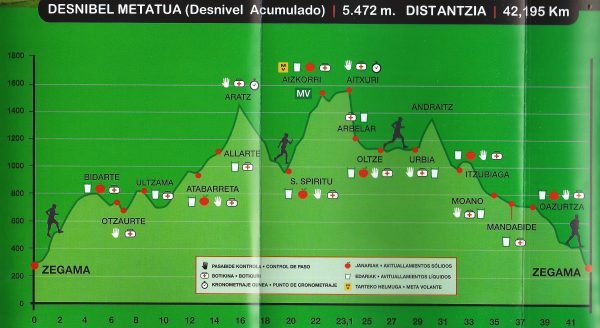 I have heard many stories about how amazing to run the Zegama-Aizkorri Marathon is. Most tell of the fantastic people, and how it feels (for parts of the course) like you are running through a tunnel of spectators cheering, yelling and shouting your name. I can without doubt confirm these stories are true and to take part is a truly magical experience. 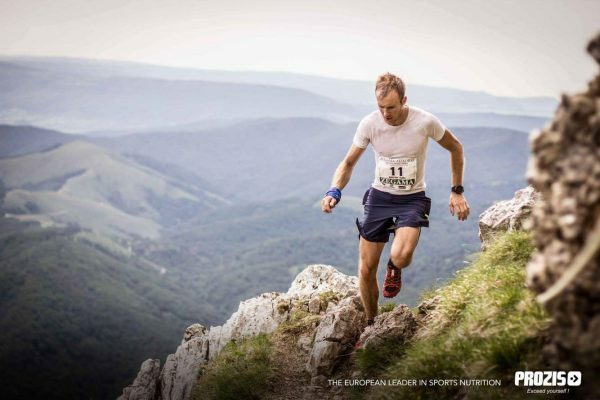 This experience made the Zegama skyrace one of the best races of my life, my performance however left me somewhat disappointed. I’m not sure what I expected but I was sure that (I thought) my training had been far better this year and I can (hopefully) build from a successful 2016 skyrunning season. I was also (sort of) confident that running an 8 hour obstacle race two weeks before wouldn’t slow me down and that come race day I would be feeling on top of the world, with bountiful energy to crush a marathon (with 2 800 meters of climb). This I have to say was not the case and my initial speed was both not quick enough to be competitive and too quick for my fitness on the day, resulting in a painful final 20km. Throughout the initial half where the majority of the climb is I was slowly picking up places. A manic start had left me in around 16th so I had some work to do if I wanted to make the goal of a top 10 finish but I also knew this race would be long. Not wanting to blast the uphills too much left me accelerating on what flat or downhill there was. It was on one of these downhills where I got a little warning signal from my body. Both ITB’s suddenly started to twinge on every step and felt incredibly tight. I knew my legs got incredibly stiff after Europes Toughest Mudder but wasn’t expecting a feeling like this, especially after only 8km. Thank god it was only a short downhill and I now looked forward to the next climb where I hoped they would loosen up. Thankfully they did but we were now into the thick of the climb and for some reason I had the bit between my teeth. I wanted to catch people and slowly started picking a few people of. Thinking back this was a reckless move as after this initial ascent we would make a sharp downhill before a 700m ascent to the highest point. This is where the ‘race’ was due to start and for me this is where racing ended and surviving to the finish started. Still picking of a few people that had faired worse than me but also loosing a place or two to speedy descenders I finally thought that’s it, I probably won’t catch anymore but I’ll be dammed if anyone is going to catch me. This mentality proved somewhat painful as for the final 10km downhill I had someone just 100m behind me which kept me pushing as hard as I had to until the end. And that was it, 4hours 8 minutes of racing to finish in 11th – 23 minutes behind the deserved winner and training partner Stian Angermund-Vik. I am coming to the realisation that running is incredibly easy and fun when you are fulfilling the first 90% of your fitness potential, but it becomes a somewhat more frustrating game once you try to take those extra steps up. Simple training philosophies start to get questioned and the expectation of better results weighs you down. I would have liked to have done better in this race but I feel this is one of the main reasons I didn’t. Once you want to succeed too much the run becomes forced. If I am to race well it needs to be natural and free, I need to enjoy the epicness of what I am doing, not think about where I believe I should be in the standings. Ultimately you have good days and bad days, I’d like to think this was one of my bad ones but then again I am also extremely proud to be able to finish a race like Zegama and to come 11th amongst some of the best mountain runners in the world. Whatever the case, it’s safe to say, this mountain running melarcky is hard! Amazing effort and learning experience! How lucky we are all to get to enjoy such events!